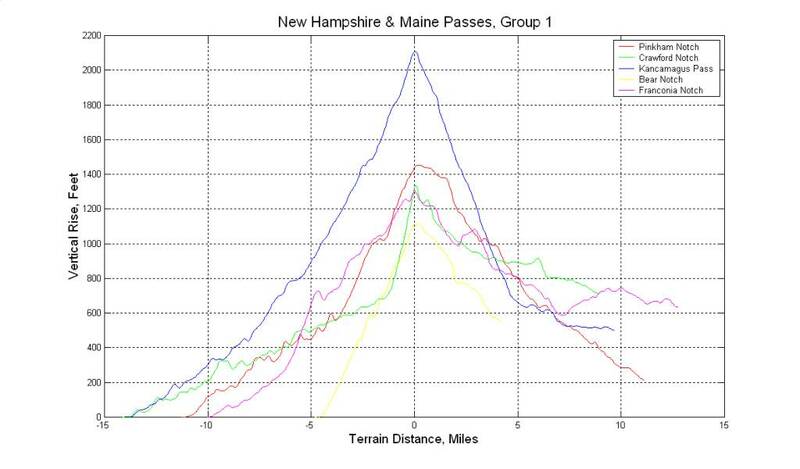 Below, several popular notch, pass, and gap hill climbs from the New England states are plotted. Lincoln Gap in the Green Mountains of Vermont is regarded to be the steepest climb around, with about 1.4 miles of sustained 20-24% grade near the top on the east side. A popular loop links up five other nearby gaps for a serious day in the saddle, or should I say, out of the saddle hammering (see rides page)! The highly scenic Kancamagus Highway (Rt 112) slices through the White Mountains of New Hampshire and offers the most vertical gain, plus it reaches a higher elevation than the other paved pass climbs. 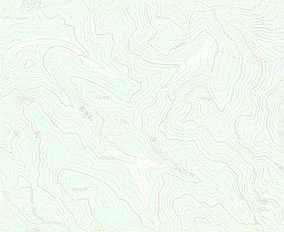 Many pass, notch, and gap profiles have been recently added, so the profile charts have been split into geographical areas to keep them readable. I have ridden most of these passes over the years. The White Mountains of New Hampshire plays host for many organized centuries and charity rides. There are several ways to link up these climbs into big loop rides. Use the vertical info provided here with your maps to plan a great ride. The Kancamagus Highway (The Kanc) is one of my favorite roads to ride in New England. The scenery can’t be beat, and it’s a brute of a climb from either direction. You can park in Conway, ride to Lincoln and back, or vice versa for a 100+ km ride. What you miss seeing behind you going out you will see coming back. The only downside to riding the Kanc is there are no paved shoulders. During peak tourist times, traffic can be heavy. Avoid this road during fall color season. The road is being resurfaced starting from Lincoln, which is way past due. This will make descending that side far more pleasant, plus it looks like a bit of shoulder is being added. 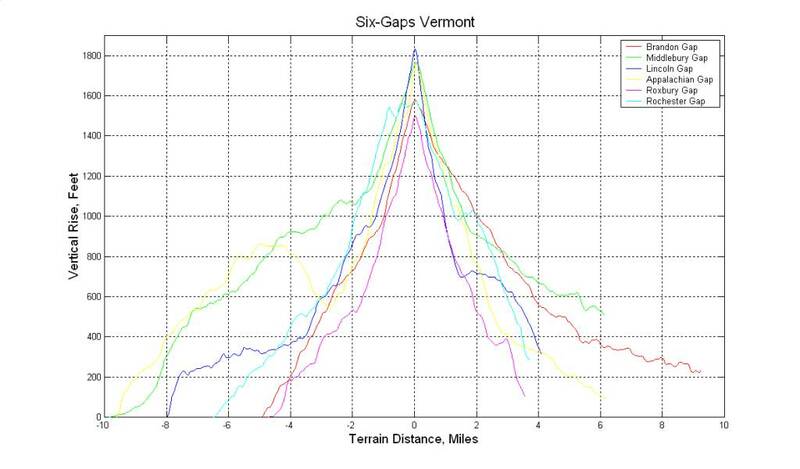 These six gaps are the soul of the Six-Gaps ride discussed in detail on the hillclimb rides page. 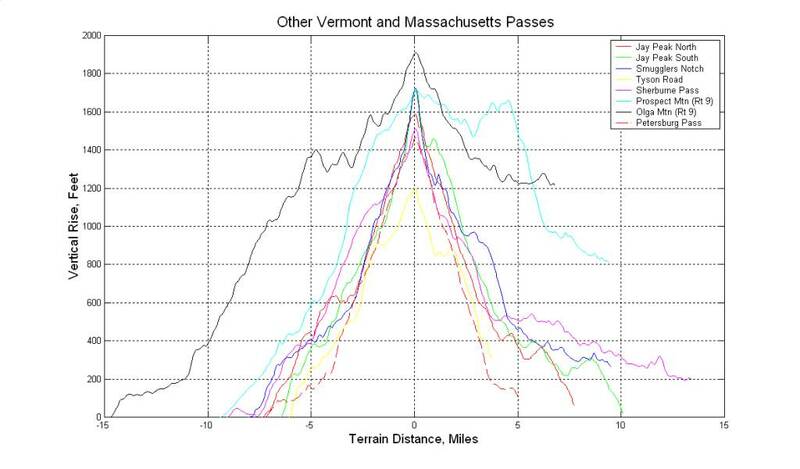 There are so many paved gaps in VT that I had to break them up into two charts to show them. These six are tightly clustered together in the center of the state. They all crest above 2000 feet, and they gain 1500 to 1800 feet. Most have very steep grades, 10% or more. Lincoln gap from the east has sustained 20% grades, max’ing at 24%. It is perhaps the hardest climb in all of New England. When comparing the grade of these gaps to gaps in the other charts, note the bottom scale difference. 6-gaps only shows +/-10 miles, while the other two show +/-15 miles. Most of the vertical here is gained in 2-3 miles, while in the other gaps the bulk of the vertical is more spread out. 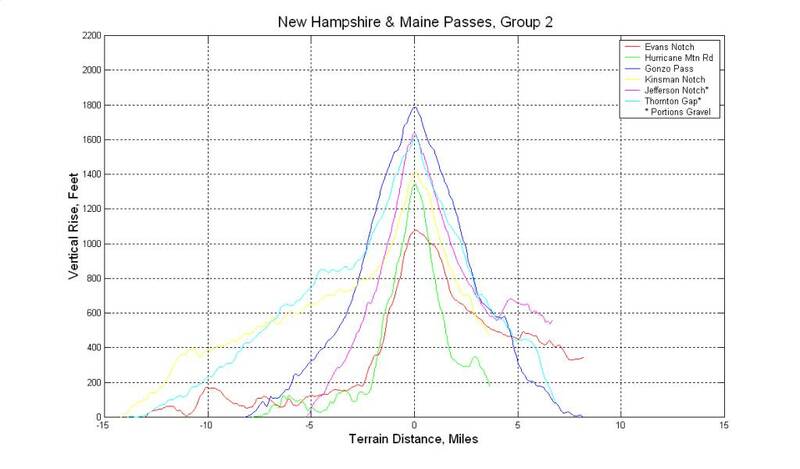 Middlebury and Appalachian Gaps are included in the popular Green Mountain State Race held late each summer. The gaps are spread out across Vermont and western Mass. Petersburg straddles the border between NY and MA. Of these gaps, I have ridden Smugglers from Stowe, Tyson from Ascutney, Sherburne from Rutland, and Petersburg from Petersburg. I have driven Rt 9 past Olga and Prospect Mountains several times. Looks like a nice ride. Haven’t made it up to the Jay Peak area yet. The steepest sustained grade of this set can be found approaching the crest of Smugglers Notch from Stowe. The terrain in this narrow, deep notch is very interesting. As the pitch steepens, you see a sign that says road narrows. Then you see a sign stating no yellow line. The road essentially becomes a single lane that barely squeezes through house-size boulders. Petersburg Pass offers a very persistent, moderately steep grade from either side.